Super fast for a super friend, with super friend font. 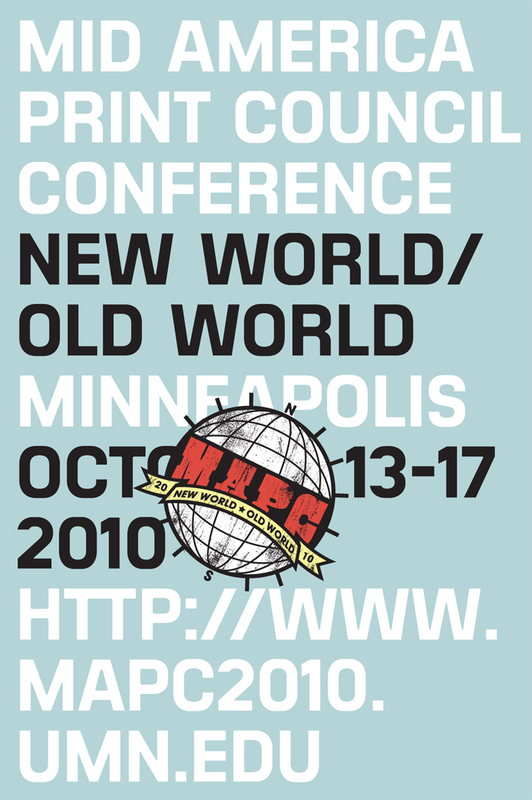 Above: Postcard front (4×6) for Jenny Schmid, awe inspiring printer and educator who is also spearheading the MAPC 2010 Conference New World/Old World here in Minneapolis this coming fall. Check out the MAPC Facebook page here. 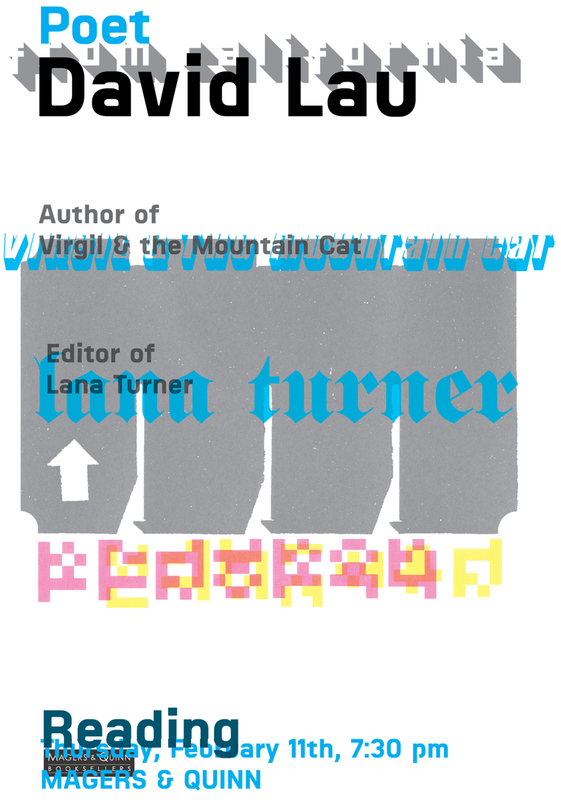 Jenny supplied the logo, color choice, scroll image, and a Level Five Emergency time frame. Awesome. I couldn’t resist, it seemed like the perfect opportunity to experiment with Verena Gerlach’s Vielzweck font (available at primetype). Above: Postcard back, cropped (4×6). Above: Sigh, 11×17 (cropped for web) bulletin sketch I made for a canceled event. Some of the dynamics from the back of Jenny’s card evolved out of this. Verena Gerlach’s Vielzweck in full effect again, plus the usual suspects (and a few old collage pieces from Doha days). I know, I know! Must stop using Motorcade and Extrude. 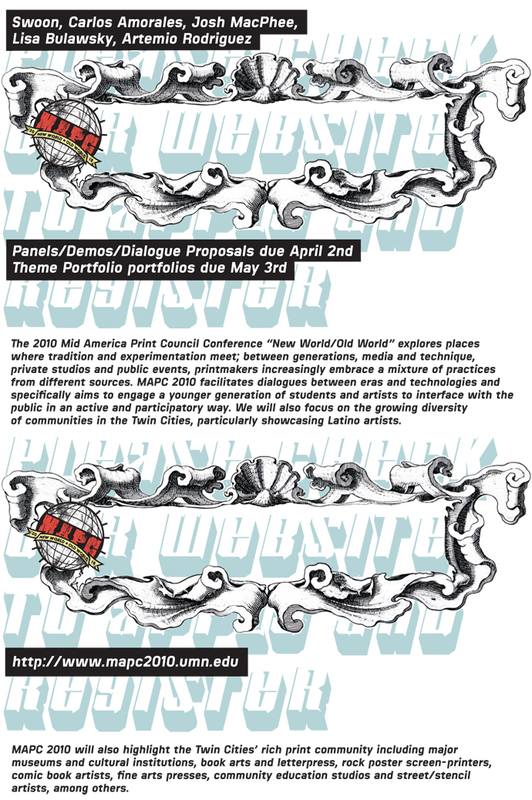 Jenny Schmid / MAPC 2010: Super fast for a super friend, with super friend font. This entry was posted by Erik Brandt on Saturday, March 20th, 2010 at 11:34 AM	and is filed under Aktuell, Education, Geotypografika, Globalization, Graphic Design, Internet, Typografika, Typography.